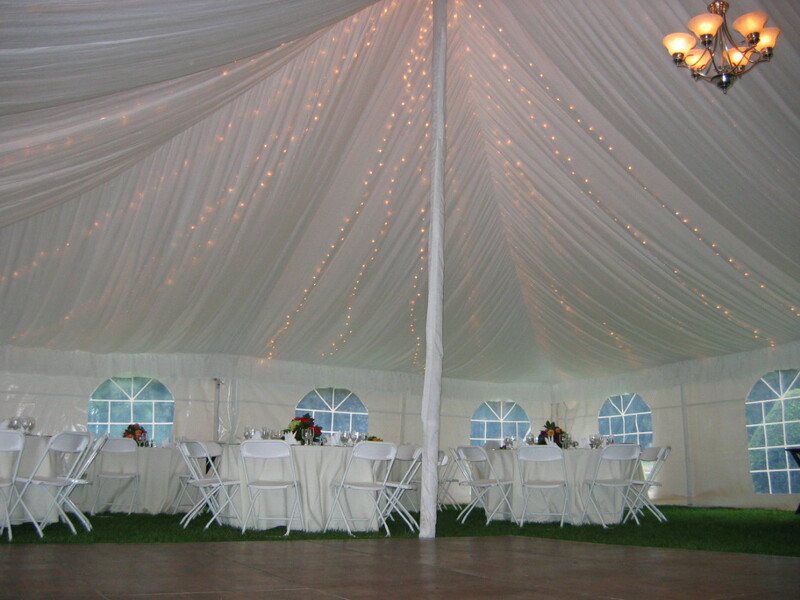 A full twinkle light ceiling shining through a full fabric ceiling liner creates a glow throughout the tent. Great for creating a romantic ambiance! Can also be paired with chandeliers for an added dramatic effect. *Can also be used without a fabric liner.